The United States said Monday countries trading with North Korea were aiding its `dangerous nuclear intentions`as the UN Security Council mulled tough new sanctions and the isolated regime showed signs of planning more missile tests. The United States said Monday countries trading with North Korea were aiding its "dangerous nuclear intentions," as the UN Security Council mulled tough new sanctions and the isolated regime showed signs of planning more missile tests. South Korea said it was talking to Washington about deploying aircraft carriers and strategic bombers to the Korean peninsula following the North's sixth and most powerful nuclear test on Sunday. At a Security Council meeting, U.S. Ambassador to the UN Nikki Haley said North Korea's Kim Jong-un was "begging for war" and urged the 15-member group to adopt the strongest possible measures to deter him. "War is never something the United States wants. We don't want it now. But our country's patience is not unlimited. We will defend our allies and our territory," Haley said. "The United States will look at every country that does business with North Korea as a country that is giving aid to their reckless and dangerous nuclear intentions," she said. Haley said the U.S. will circulate a new Security Council resolution on North Korea this week and wants a vote on it next Monday. China, a top trading partner with North Korea, and Russia called for a peaceful resolution to the crisis. "China will never allow chaos and war on the (Korean) peninsula," said Liu Jieyi, the Chinese ambassador to the UN. Russia said peace in the region was in jeopardy. "A comprehensive settlement to the nuclear and other issues plaguing the Korean peninsula can be arrived at solely through political diplomatic channels," Russia's UN Ambassador Vassily Nebenzia said. North Korea has been under UN sanctions since 2006 over its ballistic missile and nuclear programs. Typically, China and Russia only view a test of a long-range missile or a nuclear weapon as a trigger for further possible UN sanctions. U.S. President Donald Trump had asked to be briefed on all available military options, according to his defence chief. Officials said activity around missile launch sites suggested North Korea planned more missile tests. "We have continued to see signs of possibly more ballistic missile launches. 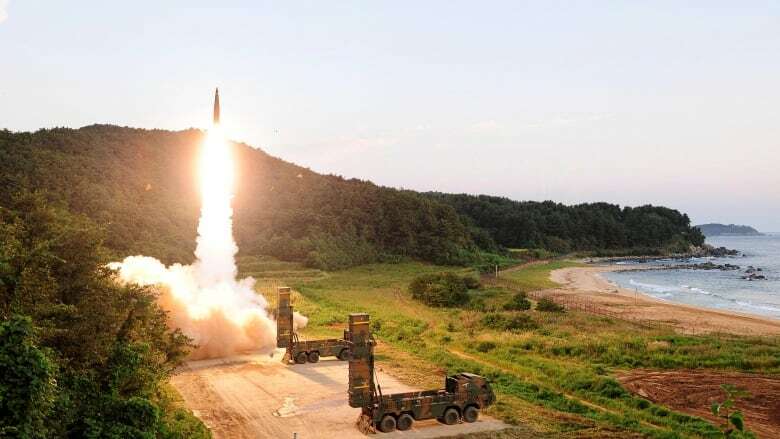 We also forecast North Korea could fire an intercontinental ballistic missile," Jang Kyoung-soo, South Korea's acting deputy minister of national defence policy, told a parliament hearing on Monday. 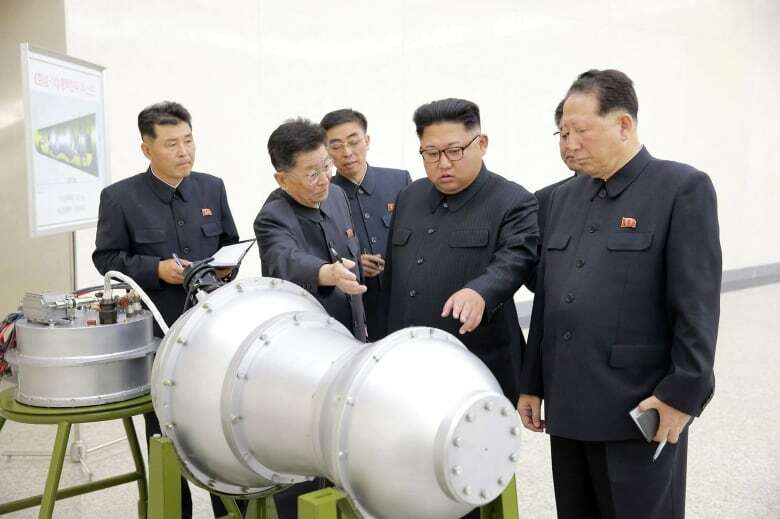 North Korea tested two ICBMs in July that could fly about 10,000 kilometres, putting many parts of the U.S. mainland within range and prompting a new round of tough international sanctions. South Korea's air force and army conducted exercises involving long-range air-to-surface and ballistic missiles on Monday following the North's nuclear test on Sunday, its joint chiefs of staff said in a statement. In addition to the drill, South Korea will co-operate with the U.S. and seek to deploy "strategic assets like aircraft carriers and strategic bombers," Jang said. South Korea's defence ministry also said it would deploy the four remaining launchers of a new U.S. missile defence system after the completion of an environmental assessment by the government. The rollout of the controversial Terminal High Altitude Area Defense (THAAD) system at a site south of the South Korean capital, Seoul, which is vehemently opposed by neighbouring China and Russia, had been delayed since June. At the Security Council, neither Russia nor China mentioned their long-held opposition to THAAD or the prospect of further UN sanctions in the wake of North Korea's nuclear test. North Korea said it tested an advanced hydrogen bomb for a long-range missile on Sunday, prompting a warning from U.S. Defense Secretary Jim Mattis of a "massive" military response from the U.S. if it or its allies were threatened. Trump has previously vowed to stop North Korea developing nuclear weapons and said he would unleash "fire and fury" if it threatened U.S. territory. Despite the tough talk, the immediate focus of the international response was on tougher economic sanctions. Diplomats have said the Security Council could now consider banning North Korean textile exports and its national airline, stop supplies of oil to the government and military, prevent North Koreans from working abroad and add top officials to a blacklist to subject them to an asset freeze and travel ban. Asked about Trump's threat to punish countries that trade with North Korea, Chinese Foreign Ministry spokesperson Geng Shuang said China has dedicated itself to resolving the North Korean issue with talks, and China's efforts had been recognized. "What we absolutely cannot accept is that on the one hand [we are] making arduous efforts to peacefully resolve the North Korean nuclear issue, and on the other hand [our] interests are being sanctioned or harmed. This is both not objective and not fair," he told a regular briefing. On possible new UN sanctions and whether China would support cutting off oil, Geng said it would depend on the outcome of Security Council discussions. China's state-run Xinhua news agency said in an editorial that North Korea was "playing a dangerous game of brinkmanship" and it should wake up to the fact that such a tactic "can never bring security it pursues." While South Korean President Moon Jae-in and Japanese Prime Minister Shinzo Abe agreed on Monday to work with the U.S. to pursue stronger sanctions, Russia voiced skepticism. Russian Deputy Foreign Minister Sergei Ryabkov said sanctions on North Korea had reached the limit of their impact. Any more would be aimed at breaking its economy, so a decision to impose further constraints would become dramatically harder, he told a BRICS summit in China. South Korea said the aim of stronger sanctions was to draw North Korea into dialogue. But, in a series of tweets on Sunday, Trump also appeared to rebuke South Korea for that approach. "South Korea is finding, as I have told them, that their talk of appeasement with North Korea will not work, they only understand one thing!" Trump said on Twitter. Still, Trump's response was more orderly and less haphazard than he had offered after North Korea's previous hostile actions. His handling of its latest nuclear test reflected a more traditional approach to crisis management, which U.S. officials said illustrated the influence of Mattis and the new White House chief of staff, retired Marine Corps general John Kelly. The White House issued a statement saying Trump and the South Korean president spoke on the phone on Monday and Trump gave his "in-principle approval to South Korea's initiative to lift restrictions on their missile payload capabilities. President Trump also provided his conceptual approval for the purchase of many billions of dollars' worth of military weapons and equipment from the United States by South Korea." Earlier Monday, Swiss President Doris Leuthard said neutral Switzerland is prepared to act as mediator to help resolve the North Korea crisis. 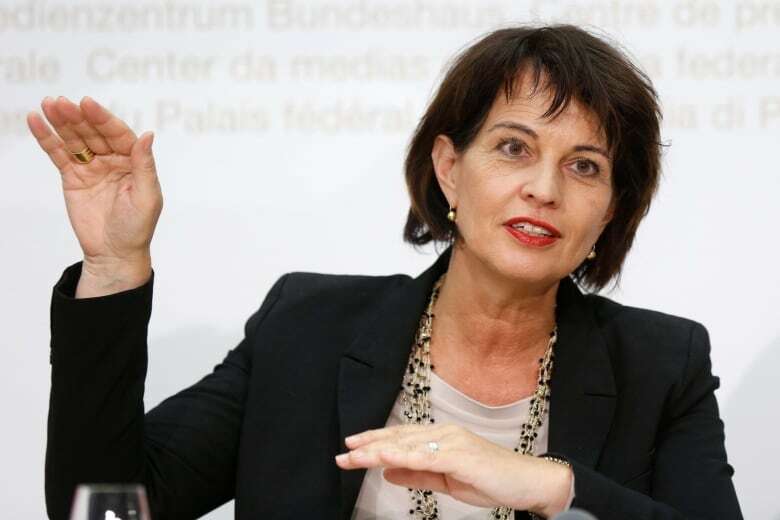 Leuthard said Swiss troops were deployed on the demarcation zone between South Korea and North Korea, and the country had a long history of neutral diplomacy. Japanese and South Korean stock markets both closed down about 1 per cent Monday, while safe-haven assets including gold and sovereign bonds ticked higher, but trade was cautious. U.S. stock markets were closed for the Labour Day holiday. "Assuming the worst on the Korean peninsula has not proven to be a winning trading strategy this year," said Sean Callow, a senior foreign exchange strategist at Westpac bank. "Investors seem reluctant to price in anything more severe than trade sanctions, and the absence of another 'fire and fury' Trump tweet has helped encourage markets to respond warily." South Korea's finance minister vowed to support financial markets if instability showed signs of spreading to the real economy.